AaMedi can establish for you a Swiss based inernational Pharma company including the foundation of the company, the application of Swissmedic "Trade abroad" license as well as the buiding of the complete GDP quality system. AaMedi with it's partners and associates supports our international Pharma customers in many ways from the establishment of the Swiss company, taking care of the administration in different essential areas of business and offering wide rage of services in pharma field. 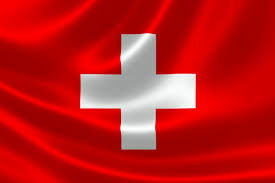 Establishing a company in Switzerland is our daily business. Please inform us what kind company you need. Please send us information and questions. We have 25 years experience in Managing companies in Switzerland and would like to do it also for you . AaMEDI provides all Quality assurance services which are needed to start a global pharma company in Switzerland. AaMEDI provides a lot of services which are needed to run a phrma company in Switzerland.